Gosh. It's October. It's gloriously sunny and warm here in Vegas, but being the cold-blooded Canadian gal that I am, I pine for chilly mornings, red gold leaves, and cute boots (sigh). But no matter - Hallowe'en is just around the corner and my boys are the perfect age to really truly enjoy the magic and spookiness of this quirkiest of holidays. We'll be pulling out all the decorations this weekend, in fact and spooking up the house in style! 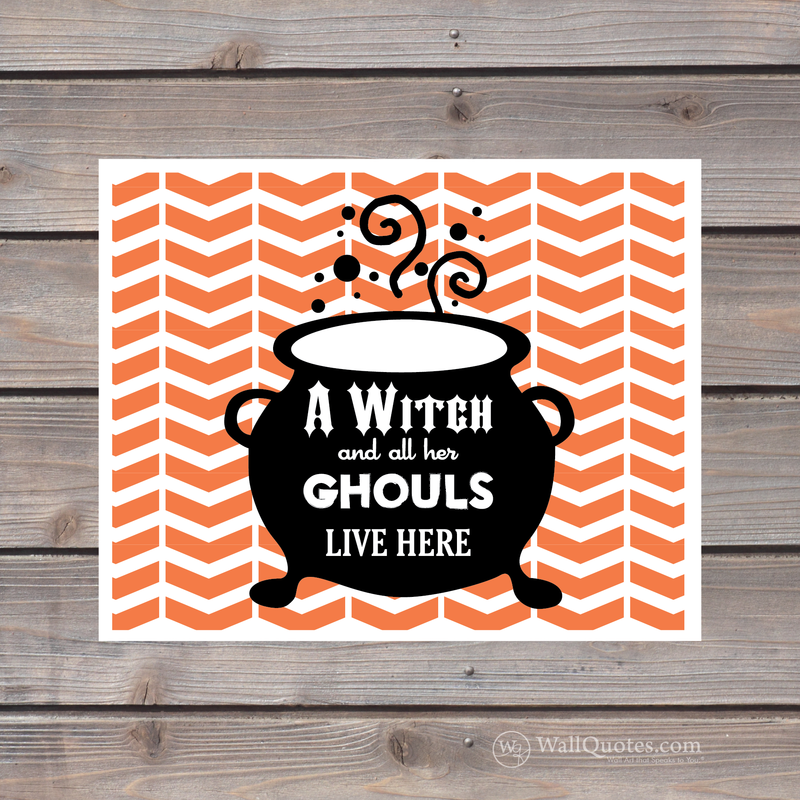 This week, we've been talking easy ways to decorate for Halloween with what you've got, and easy trendy ways to spice up your home for fall, and so I wanted to feature some of the creepy cute print designs from our growing collection of seasonal art prints. A print is such an easy way to spice up the decor in your home - seasonal or no. Happy haunting! 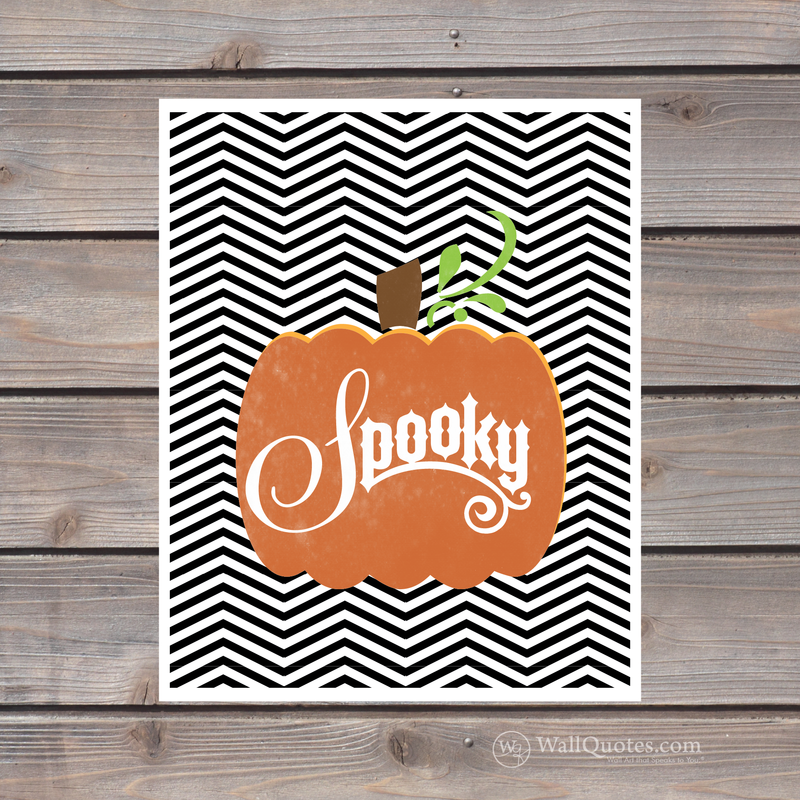 Modern and funky chevrons with spooky pumpkin goodness. What's not to love? Little bit of everything Halloween-y. And so cute in this little Halloween vignette, no? You know the Zombie Apocalypse is only a matter of time. Be prepared. You know what every house needs at Hallowee'n? A little creepy Shakespeare action, is what. Channel your inner witch with this very literary art print (cackle cackle cackle). *Fun fact - this text comes right from Shakespeare's Macbeth: Act 4, Scene 1. Oooo. 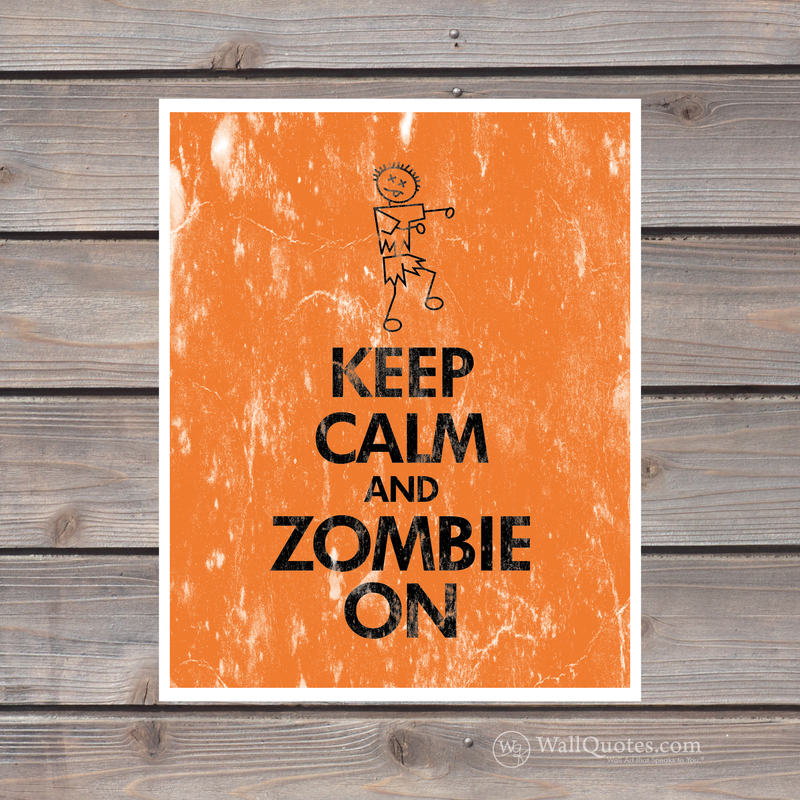 Hallowe'en is so fun - and we've go so many great Halloween prints and really fun Halloween vinyl decals too. Check 'em out and upgrade your decor this year. All the ghouls and boys will love it (teehee).